Good things come to those who sweat. 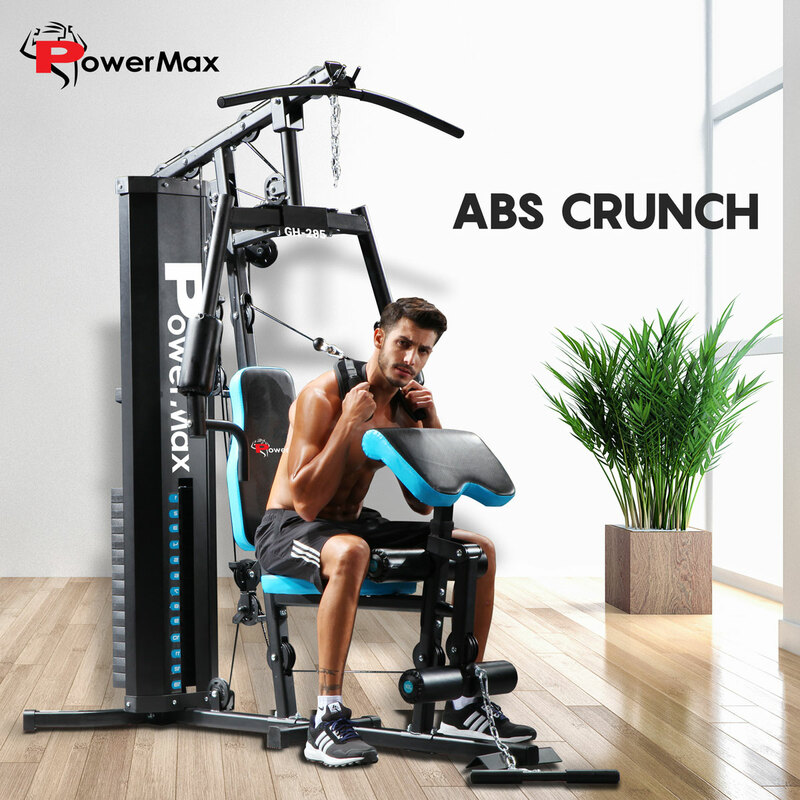 This 68 kilogram Stack Home Gym from PowerMax fitness brings the gym to you and gets you sweating and training to your best body ever. 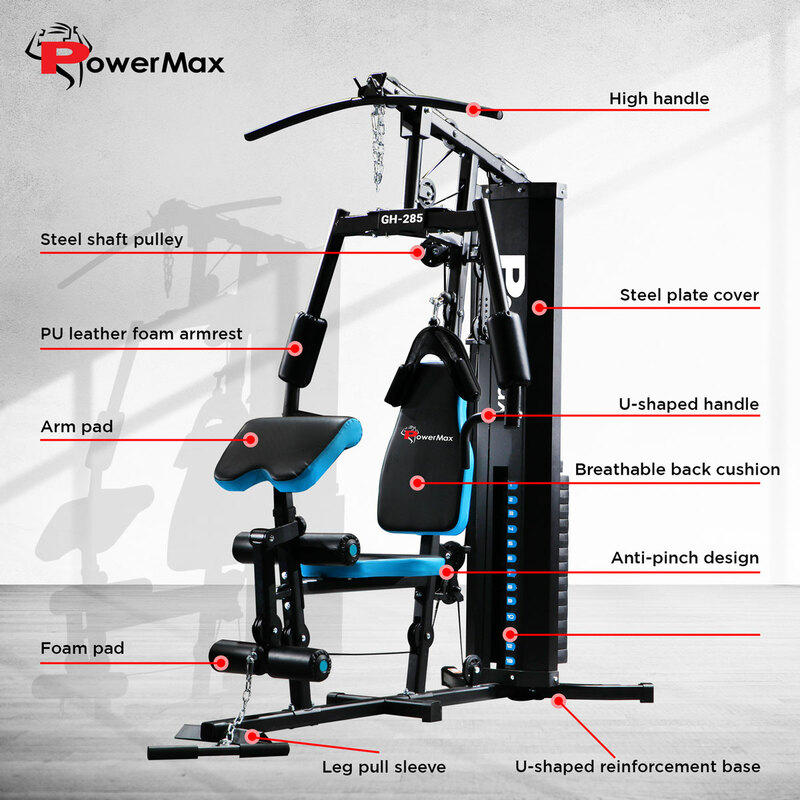 If the gym hustle and bustle doesn't appeal to you or fit into your busy schedule, this home gym is there for you 24/7. Good things come to those who sweat. 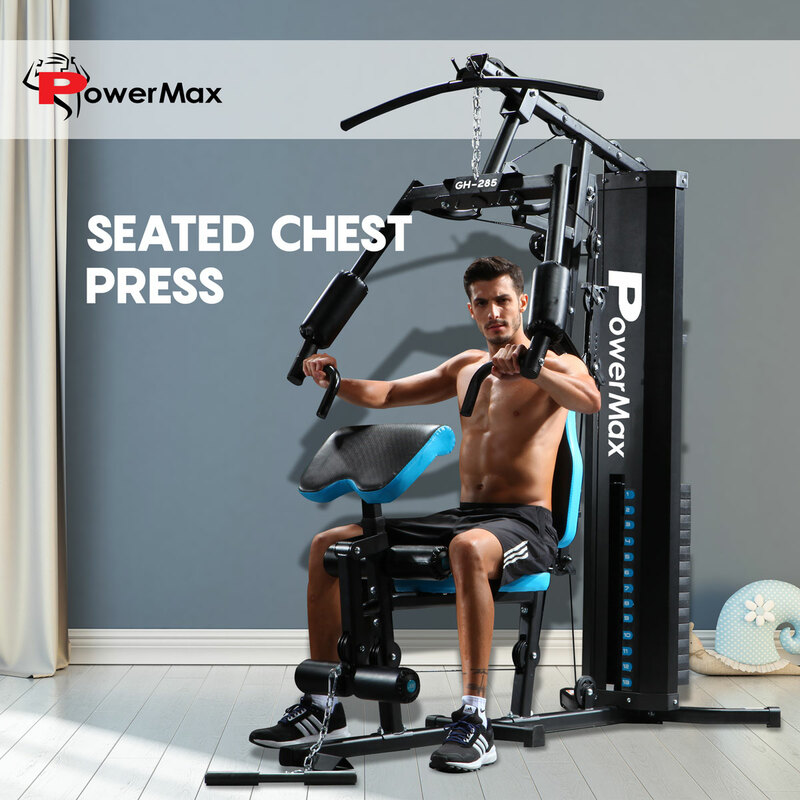 This 68 kilogram Stack Home Gym from PowerMax fitness brings the gym to you and gets you sweating and training to your best body ever. 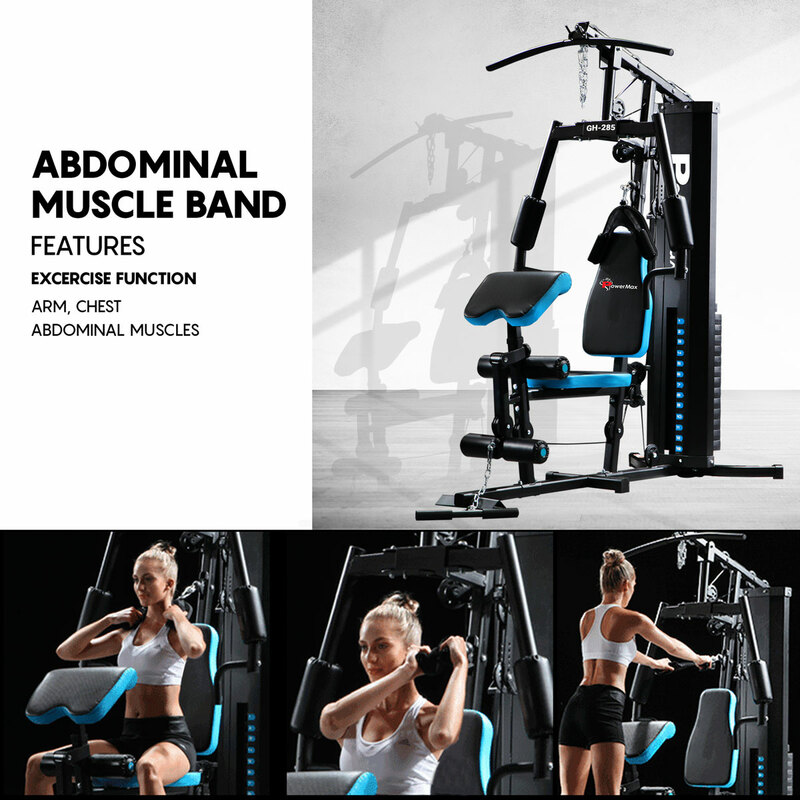 If the gym hustle and bustle doesn't appeal to you or fit into your busy schedule, this home gym is there for you 24/7. 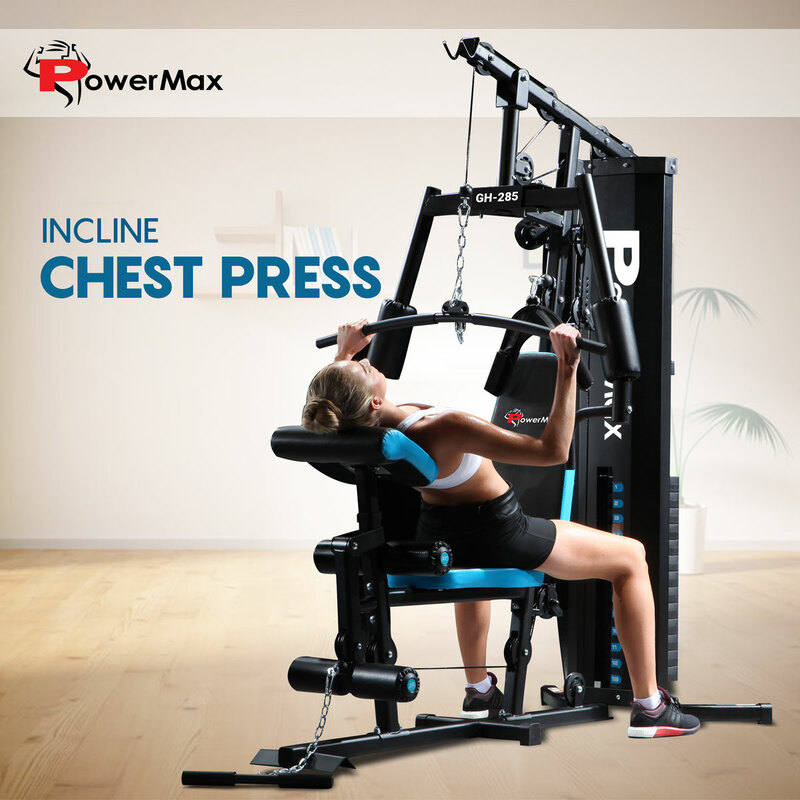 With a solid steel 68 kilogram weight stack enclosure, you are all set to work hard and pump some iron, because triceps and biceps. 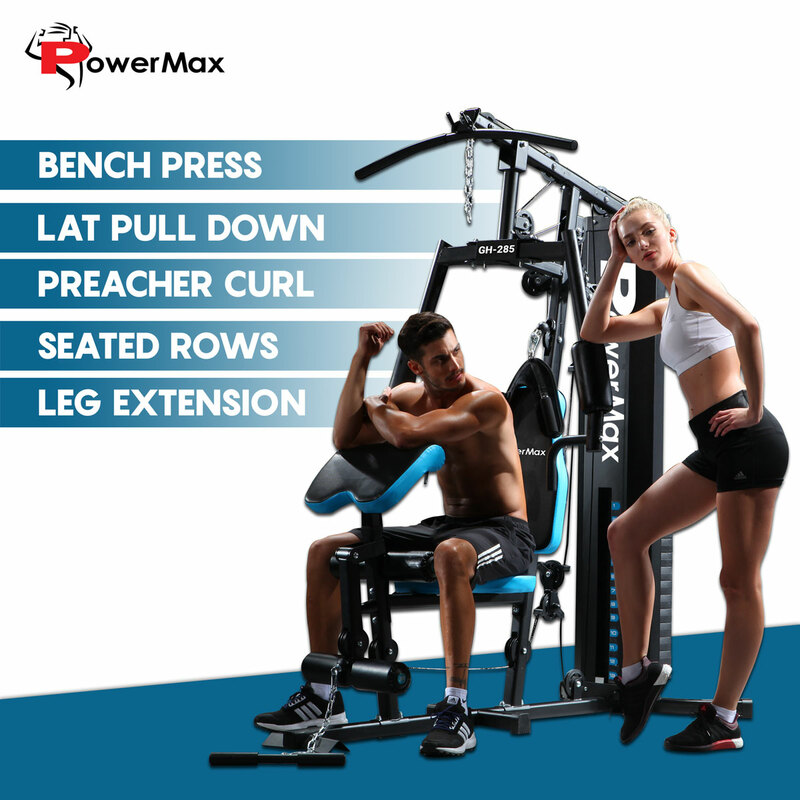 It has an adjustable preacher curler pad, an overhead lat station for back, abs, and triceps exercises, and high and low pulleys for upper and lower body exercise for sculpting your perfect body. 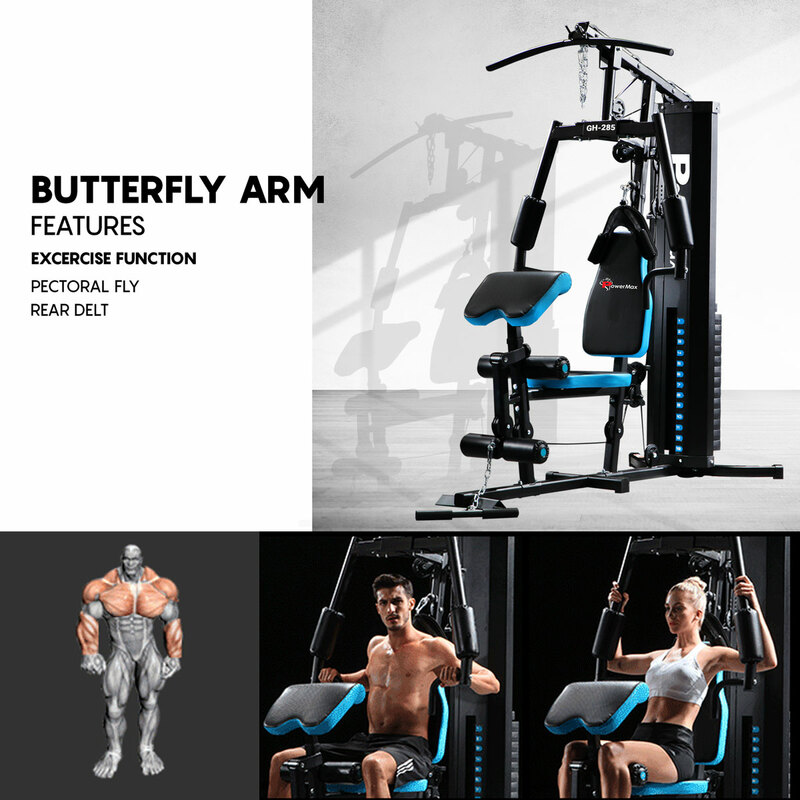 Its dual functioning, independent motion, chest press arm, and movements get you the results you want to see and the leg developer allows for leg extensions and leg curl exercises that tone your quads and calves and make you want to show them off every day. 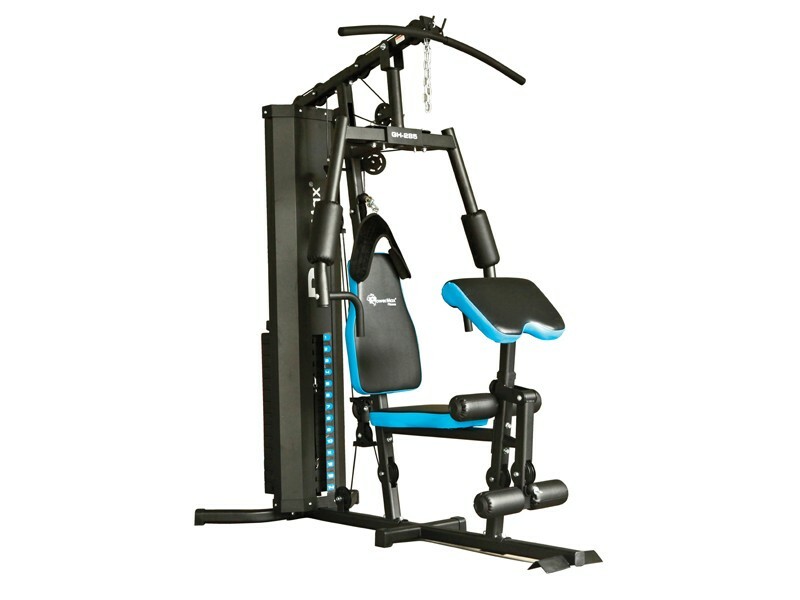 This Multi-functional home gym equipment weight stack weight is 68 kgs. 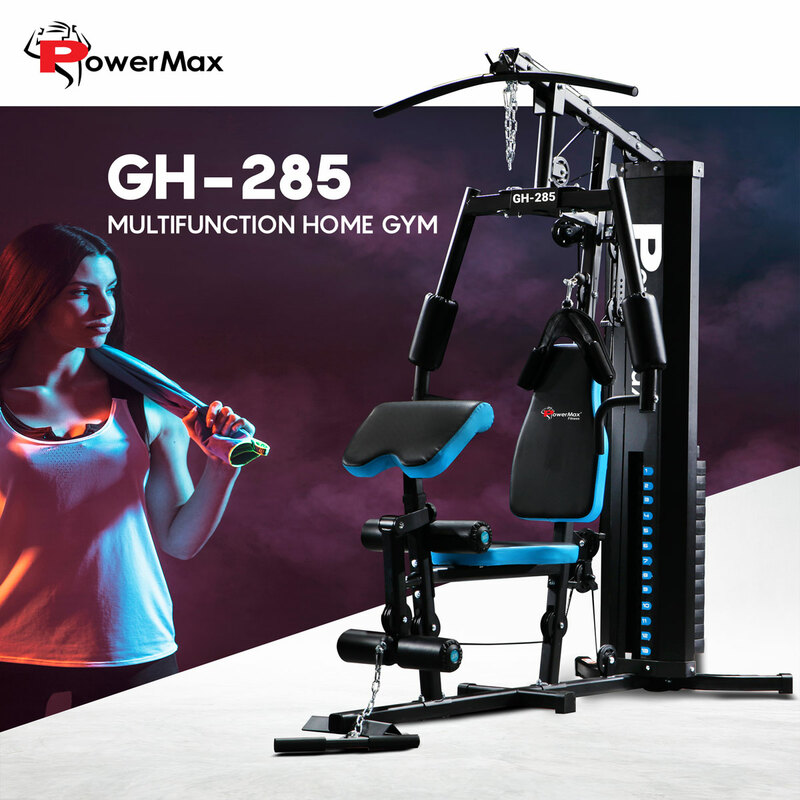 Heavy gauge steel mainframe of PowerMax fitness GH-285 home gym gives 1-year limited warranty. 150lbs / 68kgs Dead Weight Stacks filled blown vinyl plates. 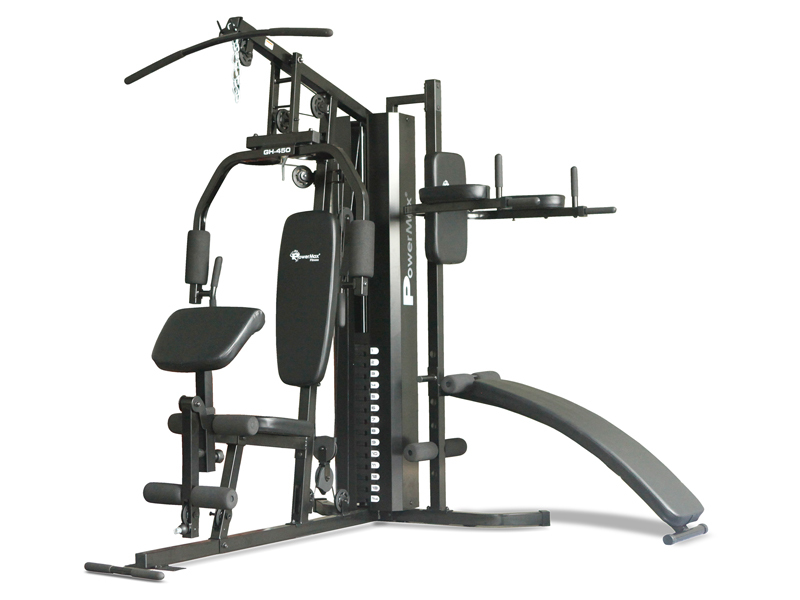 Features Bench Press. 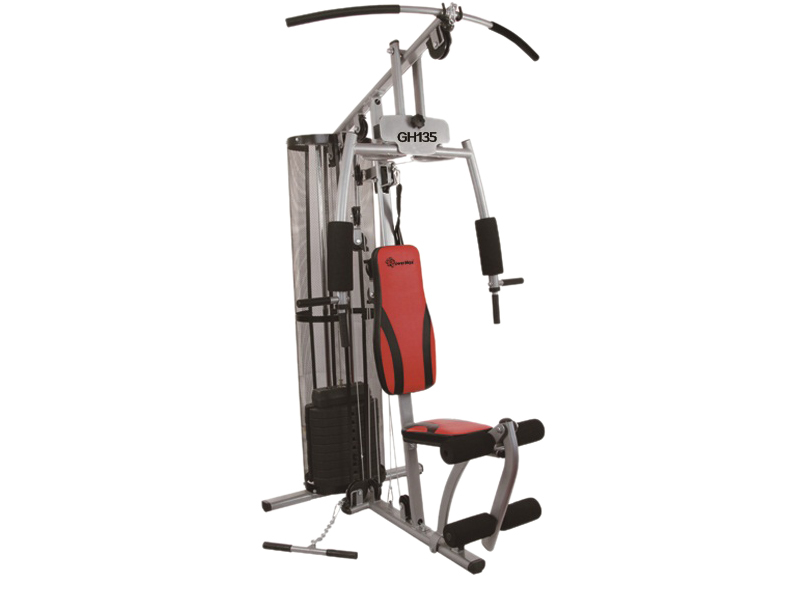 Pec Deck. 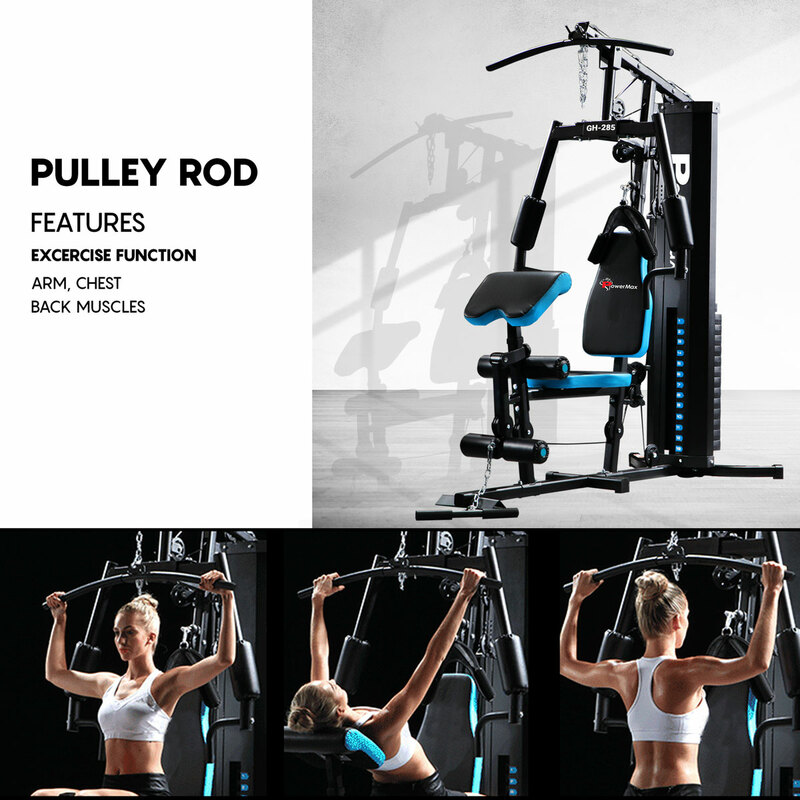 Lat Pull Down (Front And Back).Preacher Curl. 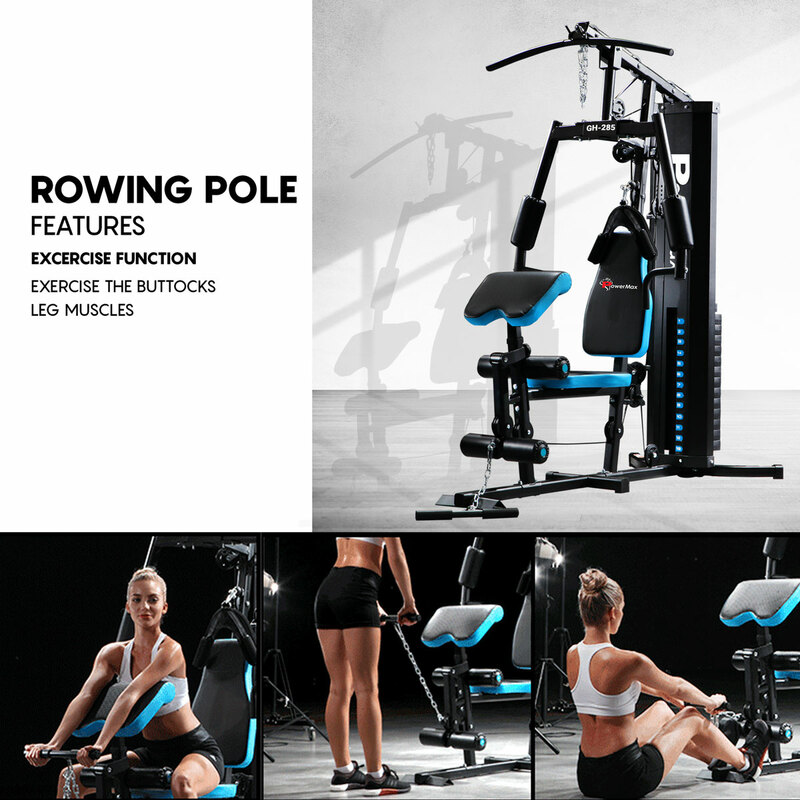 Seated Rows. Leg Extension, and Curls Preacher Curl. Inner & Outer Thigh Exercise. Assembly: Size (H)198.5, (W)86, (L)175cm.